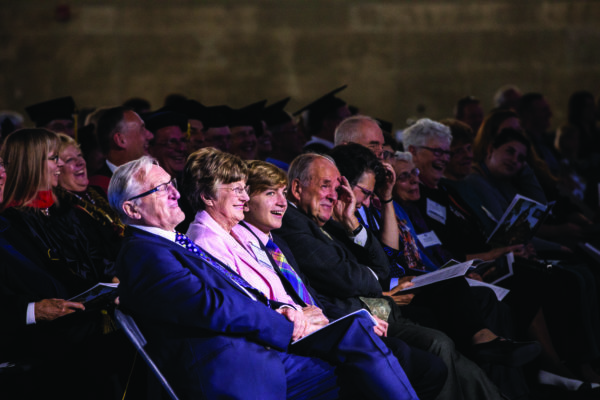 Before the ceremony, faculty, senior staff, speakers, special guests and delegates from more than 50 institutions joined Stephens in the Field House Lounge on the top floor of Kendall Sports and Dance Complex to don their robes and other inauguration regalia. During the flurry of the preparations, Stephens stole a quiet moment to review her prepared remarks. 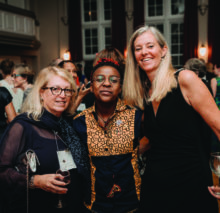 On September 29, the Mount Holyoke community came together for the inauguration of Sonya Stephens, a celebrated scholar of 19th-century French literature and its relation to visual culture, who has led the College since being named acting president in July 2016. 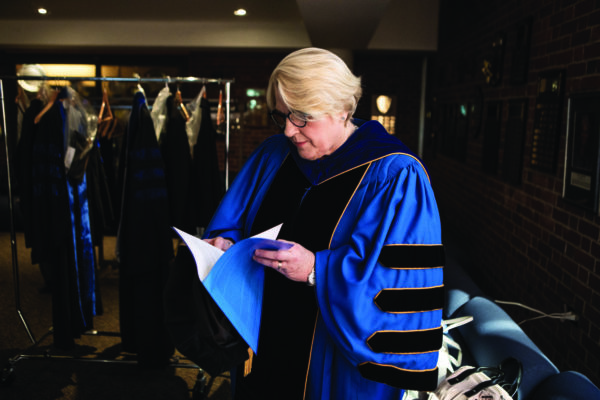 In April 2018, after an extensive selection process, Sonya Stephens, who was named acting president in 2016, was chosen to head the College by the Board of Trustees in an enthusiastic, unanimous decision. She assumed the presidency on July 1, 2018. 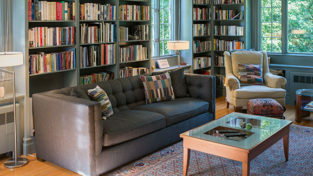 Stephens has been part of the Mount Holyoke community since 2013, when she joined the College as vice president for academic affairs and dean of faculty. 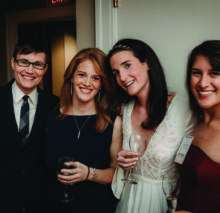 In that role she led efforts to reimagine the Mount Holyoke curriculum, reduce class sizes, develop innovative learning spaces, enhance faculty research support and compensation and recruit the faculty of the future. 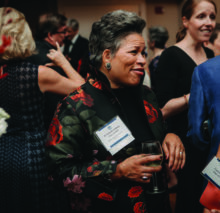 Since assuming the role of acting president more than two years ago, Stephens has made it her priority to champion rigorous and innovative academic programs, academic access and a commitment to connecting the work of the academy to the concerns of the world while reaffirming and building on its legacy of women’s leadership, diversity, global excellence and sustainability. 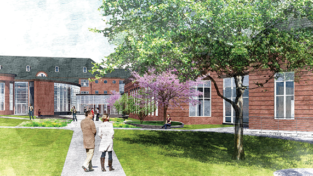 Stephens knows from personal experience the value of a women’s college education. 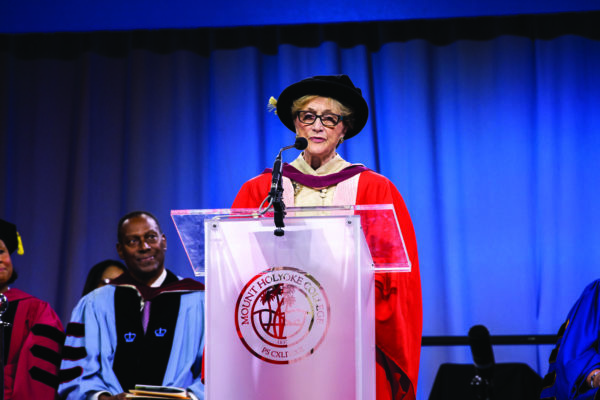 She received her bachelor’s degree in modern and medieval languages from New Hall, a college for women at the University of Cambridge that is now known as Murray Edwards College. She also earned a doctorate in French from the University of Cambridge. Her master’s degree in French studies is from the Université de Montréal, where she was a Commonwealth Scholar. Read more about Sonya Stephens. 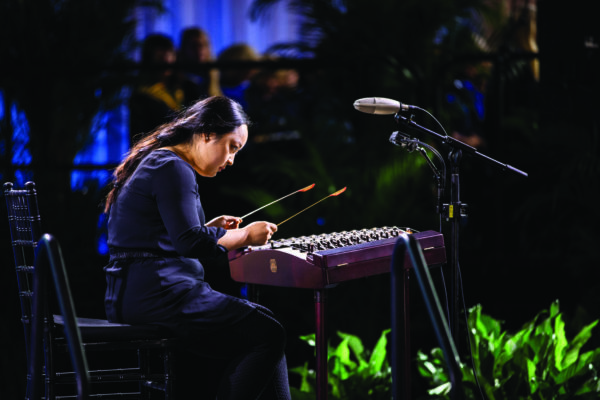 Bingyao Liu ’19, founder of the Mount Holyoke College Chinese Music Ensemble, played the yangqin, a Chinese dulcimer, captivating the audience. 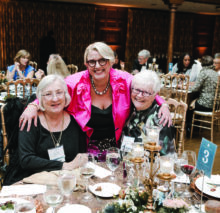 Rosemary Lloyd, Rudy Professor Emerita of French, Indiana University, first met Sonya Stephens 37 years ago when she was applying to Cambridge University’s New Hall College (now Murray Edwards). 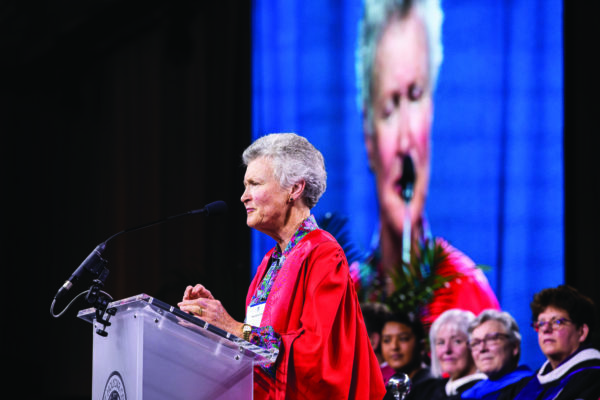 Years later, she encouraged Stephens to apply for a professorship at Indiana University, and she spoke about this career turn in her remarks. 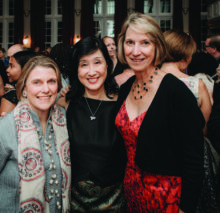 “Sonya was elected to the professorship at I.U., so I had the great pleasure of being her colleague for my final years. She reminded me last night that I retired the same year she became head of [the] department, but this is absolutely arbitrary. It just happened that way.” Lloyd’s remarks were met with laughter, including from Stephens’ family (below). 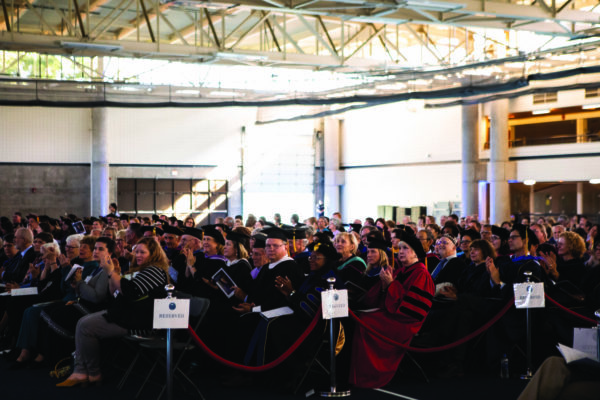 The inauguration ceremony took place in the Field House of Kendall Sports and Dance Complex. 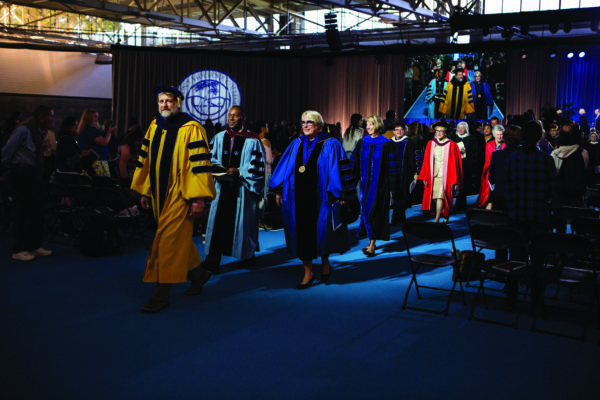 The processional — and at the conclusion of the ceremony, recessional — were led by College Marshal Alan Werner, professor of geology. 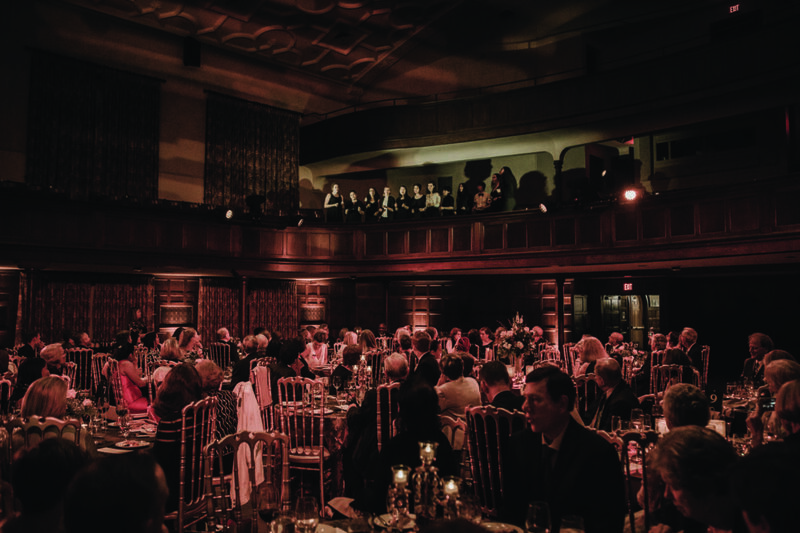 After the ceremony, invited guests joined President Stephens at a cocktail party at the McCulloch Auditorium in Pratt Hall followed by a gala dinner in Chapin Auditorium. Tears falling that no one sees familiar voices voices you love and the bells ringing at the end of day seedlings sprouting on the windowsill the future fish scales iced branches after the storm a choir cloud covered stars everyone’s soul white candles glowing at the church entrance desire unspent coins in a saucer hair filled with sunlight or water what the diamond means — “What Shines” by Marjory Heath Wentworth ’80, poet laureate of South Carolina. During the inauguration ceremony the Mount Holyoke Glee Club performed this poem to original music by Nathan Jones. 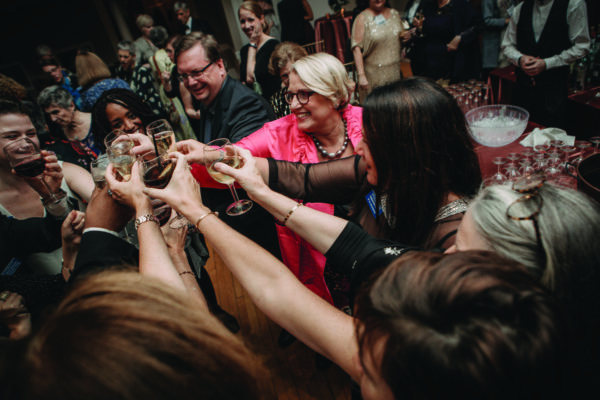 Stephens and her senior leadership team share a toast. 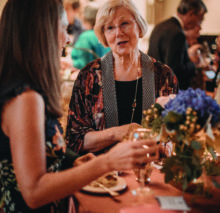 This article appeared as “Celebrating our Nineteenth President” in the fall 2018 issue of the Alumnae Quarterly. Visit here to view more photos of inauguration weekend.